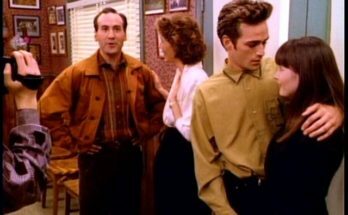 The Bros have finished their rewatch of the first season of Beverly Hills, 90210, and before they continue the saga of America’s favorite ZIP code, they are spending the night at The House of Yes; the black comedy released in 1997 starring gal pals Parker Posey and Tori Spelling, plus boy toy Freddie Prinze Jr. The film takes us into the wildly uncomfortably world of the Pascal family during a stormy Thanksgiving Night in 1983. Kitschy shenanigans ensue… and beautifully presented to us through the twisted eyes of Parker Posey, who effortlessly channels her inner Jackie-O.